Many businesses operate under the false impression that marketing is simply advertising to sell products or services. In reality, a successful marketing plan entails much more. Everything a company does is marketing. 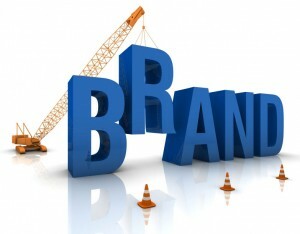 The ultimate goal of any successful marketing program is to strengthen brand awareness. A strong brand will build loyal customers, promote word of mouth advertising, and attract new prospects. Every time a customer comes into contact with one of your touch points you are building your brand. Believe it or not, as you develop your marketing plan, facts about your company are unimportant. The reality of successful branding is how the customer perceives you when they interact with your company. The customer’s perception may be positive, negative, or indifferent. The test of a successful branding is in what the customer is saying about your company to others. First and foremost, is your brand strong enough to get people talking about you? Next, are they saying what you want them to be saying? In order to survive and grow, every business has to attract new customers¾and moreover, do it in an environment full of competitors. When a new business fails, the reason is usually that it failed to find new customers, build customer loyalty and repeat business, and create favorable word-of-mouth advertising about its’ brand. Let’s face the truth, when a business does not offer anything unique or special relative to its competitors, there is no strong or positive brand awareness about which to talk! You cannot develop a strong brand if you are not aware of what you competitors are offering. What happens when a customer compares you to the competition? Take a shopping trip to the competition and find out. Examine its customer touch points and brainstorm how you can look different. Examine your competitions’ weaknesses and look for opportunities. Do not fall into the trap of focusing on you, your products and services, or the sale. Conduct your research as a customer. Remember, effective branding strategies are all about the customer. Focus on what will spark interest, engage curiosity, and add to your company’s image and reputation. A good marketing plan builds a strong brand by compiling a host of fresh ideas and strategies that drive prospects to you, while delivering the right message to those prospects at every customer touch point. It will also satisfy both the customer’s stated and unstated wants and needs. A truly effective brand builds such a high level of value, trust, and loyalty with customers that it creates a shield to protect their customers from competitors. It differentiates the company to such a degree that it reduces competition as the company pursues untapped market space. In other words, it creates loyal customers who talk about your brand. What are your customers’ pains and frustrations when they do business with companies in your industry? How can you alleviate their frustrations? What are you doing to attract people to your business rather than losing customers to a competitor? What are your customers’ unstated and stated emotional needs that must be satisfied? How are you going to satisfy them better than the competition? How do your customers prefer to make a purchase? How do your customers prefer to receive the product or service? How can you provide more face-to-face encounters to build stronger relationships? How can you differentiate from your competition while satisfying your customer’s needs better than the competition? 3) Develop the operating processes to strengthen your brand at every touch point. As you develop strategies for fixing your brand in the minds of your customers, this path will invariably lead you to the subject of operating processes. In other words, you should now identify and examine your training and other related operating processes that will need to be developed at every customer touch point to guide the actions of your employees to exceed the customers identified needs and wants. As your company satisfies its customers’ inner wishes in excess of their expectations¾every time they touch the company¾your customers will develop a trust in your brand. Most companies do not take the time to annually review what they want their brand to say, how to differentiate their brand from competitors, how customers are perceiving their brand, or take the action oriented steps to build a brand that people will talk about. How about you? What are you doing to build a stronger brand that will stand out from your competitors and get your customers raving about you?